"I'm not thinking about anything but winning. Winning is my No. 1 goal. That has to be the only thing to shoot for. From there, it's making the world team. This is my coming out year. It's time for me to step up." - Tyler Mulder, the guy who has been 4th, 4th and 5th the last three years at USAs, talking to Oregonlive.com about his goals for this weekend's USA Champs. Read our 800 preview here. Rupp, Derrick, Ritz or True – Which One Goes Home Devastated? Agree of disagree: H. England on 1500: "In the 1500m you have the opportunity for just 1 defensive move and 1 offensive"
USATF Comes Through! Live 10,000 Coverage USATF will provide 50 hours of streaming coverage on a new USATF.tv site, including race walking and field events. LRC $20,013 USAs Prediction Contest Is Here Our contest is simple. Pick the top 3 in each running event. Don't know anything about the events? No problem. We have a guide for you. Only care about the distance events? No problem, pick them perfectly and you could win $20,013. LRC Women's 10k Preview: Flanagan And Goucher Return To Track To Take On Hastings, Uhl And Hasay Shalane Flanagan and Kara Goucher both have global championship medals on the track at 10,000m. 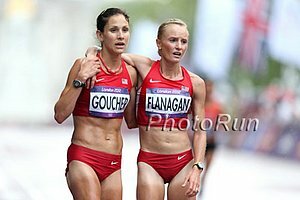 The 10k is weak on the world stage this year, and Goucher and Flanagan are hoping to book their tickets to Moscow in Des Moines. They'll face Olympic Trials Champ Amy Hastings, Lisa Uhl and Jordan Hasay. *Lisa Uhl Happy To Be Back Training And Racing In Native Iowa After Two years In Oregon "Ever since I've been back, it's been really great for my attitude and my happiness,"' Uhl said. "I'm really excited to race at Drake." *Jenny Simpson Scratches 1,500, Running 5,000 Simpson has an automatic entry to World Champs in the 1,500 as the defending champion. *After Not Setting A 1,500 PR For 7 Years, Treniere Moser Is Having A Breakthrough Year After Switching Coaches To Alberto Salazar Seven or eight months ago, she was thinking of retiring and getting a job, but now she's ran 4:02 and 15:11 and has a good shot of making the US 1,500 team. Lolo Jones Makes Video Complaining About How She Only Got $741.84 For The Entire Bobsled Season vine.co She shared it along with the line, "I'm going to be a little late on my rent this month." Jones' Video Rubbed Some Other US Bobsledders The Wrong Way With The Most Accomplished Bobsledder In US History Calling It A "Slap In The Face" He said he made less than $3,000 and at 33 years old, still lives in a dorm at the Olympic Training center because that's the only thing he can afford. At 28 Years Old, Nadia Ruiz Becomes Youngest Woman To Run 100 Marathons She has run a 3:15, but wants to eventually get under 3 hours. The previous female record was 34 years old. SA Olympic Chief Says Meeting With IAAF Explaining Takover Of Athletics SA Went Well The IAAF requested the meeting saying the national athletics federation could be suspended by the global governing body due to outside interference. Cycling Update: Former President Of USA Cycling Mike Plant Withdraws His Support From UCI Pres. Pat McQuaid And Shares Secret Report On McQuaid's Handling Of Lance Armstrong Scandal The info in it is not being shared, but the President of British Cycling said he was "disturbed" by what he heard. UK: Teen Sprinter Adam Gemili Runs Fastest 200 By A Briton For Five Years With 22.30 (8th On UK All-Time List) At England Athletics Under-20 and Under-23 Champs We don't understand who's advising him when he says, "I would love to go to the Worlds as well, but the European Under-23s come first and is the top priority. 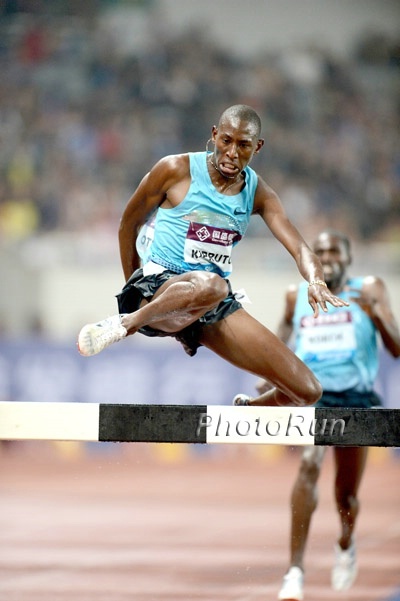 I have plenty of time to run at senior level." Potentially pass up a chance to run at the World Championships so you can focus on U-23 Euros? Yohan Blake Pulls Out Of Jamaican Trials - Not Fit Enough / Healthy Enough To Run 200 He's got a bye to Moscow in the 100m. 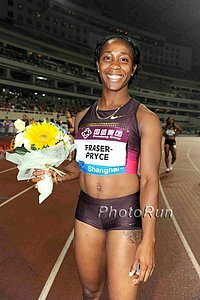 Veronica Campbell-Brown Provisionally Suspended As JAA Looks Into her Diuretic Positive - Her Management Team Says She's Not A Cheat Before everyone vilifies her, remember Maggie Vessey got busted for a diuretic last year and got off with a warning. VCB Apologizes "While not accepting guilt of willfully taking a banned substance, she wholeheartedly apologizes to her family, Jamaica, her sponsors, the governing body, the world athletics family." LRC Men's 800 Preview: What A Field! Even Olympic Finalists Nick Symmonds And Duane Solomon Have Reason To Be A Tiny Bit Nervous The men's 800 is full of talent. 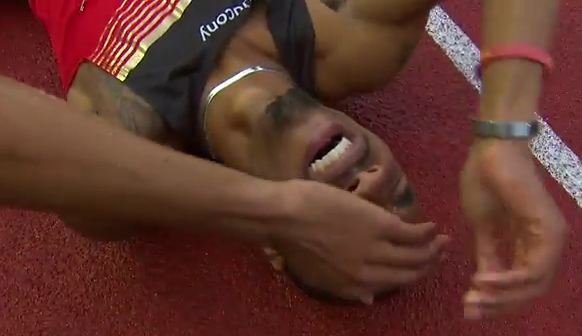 Is there another event at USATF that has 13 contenders for the Moscow spots? We'll tell you who the favorite is and break down the chances of wild card Robby Andrews. More: 4th, 4th, 5th Last 3 Years, Tyler Mulder Is Tired Of Being Left Off USA Teams - Wants To Win In Des Moines "I'm not thinking about anything but winning," Mulder said. "Winning is my No. 1 goal. That has to be the only thing to shoot for. From there, it's making the world team. This is my coming out year. It's time for me to step up." Brenda Martinez Runs 15:30 5,000 PR At Low-Key Meet In LA This was about a five-second PR for her.